PharmaDirect is Canada’s No. 1 bi-weekly newsletter for pharmacists, connecting them to the latest industry information and announcements. Pharmacists receive the latest updates on Rx and health brands, pricing and ordering information via email and fax. 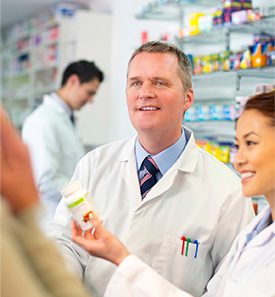 For increased readership, PharmaDirect publishes an extensive classified ads section for pharmacists. With one of the highest readerships in the industry, PharmaDirect is a leading channel for reaching your target pharmacy customers. Product messages are displayed under PTM’s StatMail headers for increased impact and credibility. Visit ipharmadirect.com for more information.